Being a flat-footed runner can be challenging. But it does not inherently preclude you from running. In fact, just because you’ve flat feet, it doesn’t inherently mean that you are bound for trouble. 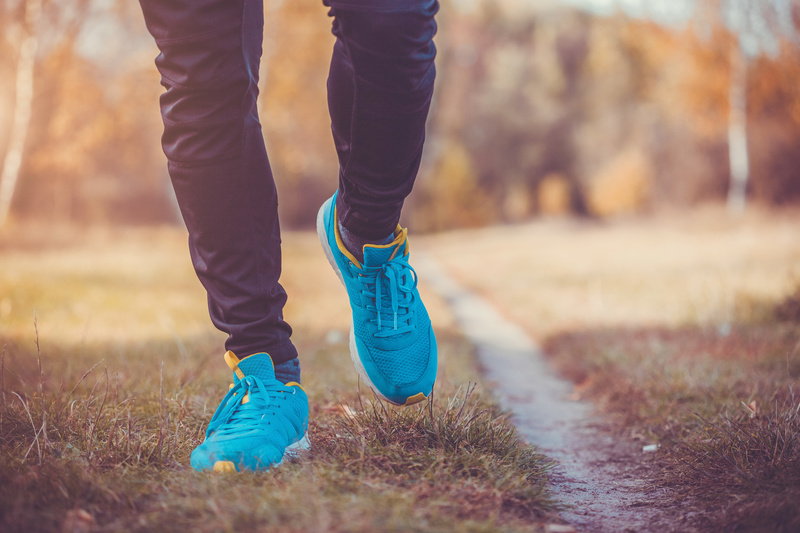 As we are going to see in today’s article, having flat feet shouldn’t discourage you from running, even if you find it difficult to pound the pavement on a daily basis. So what does it mean to be a flat-footed runner? Are there any special precautions that should be taken? These are some of the questions I’ll answer in today’s post. Also known as “fallen” or “low” arches, and medically referred to as “Pes Planus,” flat feet are viewed as a postural deformity condition in most fitness circles. The condition occurs when the tendons, ligaments, and the tiny bones in the foot’s underside collapse, forcing the arch to sit low or completely flat against the ground. According to conventional thinking, having flat feet is cause for alarm for most adults, and for some, it can cause serious issues. These include foot pain, leg pain, muscle soreness, back pain, limited athletic ability, overuse injuries, etc. For these reasons, as a runner, if you’ve trouble with your flat feet, then you must do something about it. Otherwise, you may succumb to pain. Surveys show that out of the general population, roughly 20 to 25 have flat feet, so it’s not really an “abnormality,” nor is it uncommon. For us runners, this condition affects one of the most critical components of our physiology: the foot arch. Two longitudinal (medial and lateral) arches that run from front to back, with one on each side. One anterior transverse arch that runs across the middle of the foot. All of these three arches play a crucial role in promoting and maintaining all forms of movement, running included. Most importantly, the foot arch act as a natural shock absorber, helping to reduce impact during the foot strike phase. In fact, it can bear around 200,000 to 300,000 pounds of stress each mile we walk. Without sufficient arch support, the impact stresses of a foot strike travel unhindered up the feet and legs, increasing the risk of injury. A podiatrist can determine your arch height, but you can also easily do it at home using the wet test. Start by dipping the sole of one of your feet in water, then step onto a piece of paper towel on a flat surface where your footprint will show. Make sure to put sufficient weight on that foot to leave an imprint behind. Last up, step away and assess the mark your feet leave. If you can see nearly the entire bottom of your feet on the surface, then likely have flat feet. How Do Flat Feet Form? Flat feet do not develop overnight to the overworked or overweight folks of the world. Most people get it during the course of their lives as they get older without even realizing it. Only a small percentage of the flat-footed populace is affected by hereditary flat foot. 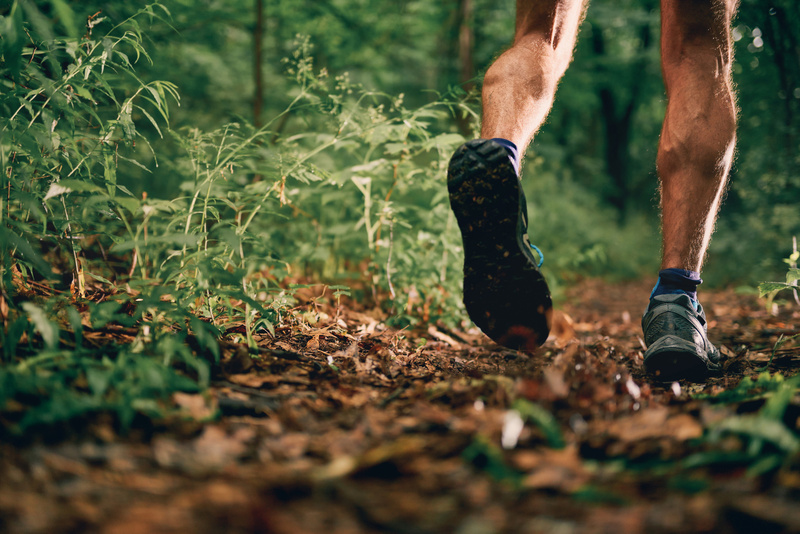 According to conventional wisdom, having flat feet can lead to severe injuries, especially when running in the wrong pair. Examples include plantar fasciitis, Achilles tendinitis, Shin splints, tibialis posterior tendinopathy, etc. But that’s not a universal rule. Injuries are prevalent among all runners, regardless of their foot type and/or pronation style. Even runners with regular arch heights get injured. So, do you REALLY need special running footwear? Well, the answer isn’t black and white. First, let’s look at the theory. Often than not, having flat feet causes overpronation. Surveys show that roughly 90 percent of people with flat feet develop this abnormal inward turning of the feet upon foot impact. Just don’t get me wrong. Pronation is part of the regular movement of the foot that occurs upon foot strike when walking or running. This allows the foot to mould to the surface and reduce shock impact. That said, overpronation occurs when there is excessive pronation following the foot strike. This places undue stress on the ankle, knee, hips, lower back, increasing injury risk. Therefore, and according to most experts, flat-footed runners may need special footwear that help stabilize the feet when running. These will be either stability or motion control shoes that have a steady medial post. But is there any research backing up these claims? As far as I know, when it comes to injury, flat-footed runners are subject to the same injuries as the rest of us. There is no conclusive research with a significant sample size and consistent methodology that provides irrefutable evidence that flat-footed runners get injured more than runners with high or neutral arch heights. Here a few studies to check out. Another research published in the Journal of Sports & Medicine found no direct association between increased running injury risk among beginner runners using a neutral shoe. And that’s just not the case in the running world. In fact, little scientific data suggest a link between pes planus and sports injuries to the lower extremities. I can go on and on about this subject, but a simple Google search will satisfy your curiosity if you want to learn more. 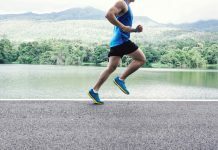 As long as you’re not experiencing any pain or issues while running in neutral shoes, there is probably no need for a stability or motion control shoe, even if you’ve incredibly flat feet. 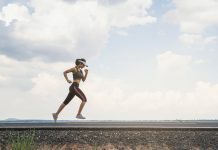 In fact, by simply taking the right training, injury and footwear precautions (like any other smart runner), you’d still manage to run relatively injury free. Yes, this goes against conventional advice, but just keep mind that shoe producers have a vested interest in you buying their products. So please don’t be a dumb costumer. Before you decide on a given pair, take into consideration your personal preferences, running conditions, shoe history, budget, etc. In the end, the best pair for you could or could not turn out to a shoe from the stability, or motion control category. Neutral Shoes Cause you Pain? If you’ve chronic arch or heel pain (and are pretty sure that your neutral shoes are to blame), then consider changing your footwear. Here is what you need to know about the so-called “flat feet” running shoes. If you have flat feet and overpronate, then get a pair that reduces over-pronation and provides more support throughout the running gait. This is especially the case if you tend to exhibit moderate-to-severe overpronation and/or have had issues running in a neutral pair. Major running footwear brands have developed specific shoe models over the last few decades catered toward runners with flat feet. As previously stated, trainers that serve this purpose are commonly known as stability and motion control shoes. These shoes are designed with a firmer midsole that limits excessive pronation. If you don’t know how to pick the right running shoes, then head to a specialty running store and consult the expert staff in there. They can analyze your running mechanics, determine your foot type, then suggest the appropriate recommendations. Just keep in mind that what works for someone else may not work for you and vice versa. So do you research and be willing to experiment with different models to find the most suitable pair. Stability shoes are made with layers of polyurethane materials in the arch to provide more stability and support for arches that may collapse upon foot strike. The primary technology used in stability shoes is a medial post of dual density foam. This is the gray and firmer piece of foam located on the inner side of the midsole, usually under the heel or midfoot regions—an area highly impacted by overpronation. Further, these shoes have plenty of cushioning. Every major shoe manufacturer has their own collection of stability running shoes. It’s up to you to choose what brand appeals the best. Just keep in mind that stability shoes are not a ‘one size that fits all.’ They may not work for everyone since not all stability shoes are the same. The best stability shoes are Adidas Adistar Boost, etc. If you’re a severe overpronator, motion control shoes might help. These are usually the heaviest and most rigid shoes available in the running footwear market. Motion control shoes are designed with more support in the arch of the foot, provide features such as stiffer heels, and a relatively straight shape/last to counter overpronation. The best motion control shoes include the Mizuno Wave Inspire 9, Brooks Ravenna 4, etc. Keep on reading if you have issues with your flat feet. Barefoot running encourages a mid-foot or forefoot strike. According to research, this may help strengthen your foot’s muscles and tendons, which can improve shock absorption. So, if it’s all possible, add a few barefoot runs to your running program, preferably on a softer surface, such as grass or a beach. Then try massaging with a tennis ball. This exercise stretches the plantar fascia ligament and comes highly recommended by podiatrists and sports experts. Just place a tennis ball under your foot, then roll it back and forth under the arch for 90 to 120 seconds. Being overweight can put excessive stress on the ligaments of your feet, resulting in pain. In fact, the more extra pounds you’re carrying around, the more pressure you exert on your arches. This is especially the case if you engage in high impact exercise, such as running, on a regular basis. Then these resources can help. Heat therapy is effective at relieving arch pain and soreness—as long as your feet are not cut, bruised, or injured in any way. You can either soak your feet for 15 to 20 minutes in a bath of warm water and Epsom salt or simply wet two towels with warm water then wrap them around your feet. Orthotics are custom-designed arch supports that may help you reduce pain by relieving pressure from the arch by limiting the rate of pronation, thus, reduce injury risk as related to excessive motion. There are plenty of options to pick from, but as a rule of thumb, opt for insoles with substantial arch support, allow for enough wiggle room (so you don’t get blisters), and have a flexible sole. Just keep in mind that not every runner with flat feet is an overpronator, and having a normal arch height does not make you injury proof.